I WANT TO BE A DICTIONARY . I will definitely consult you before a serendipity in that nature happens. 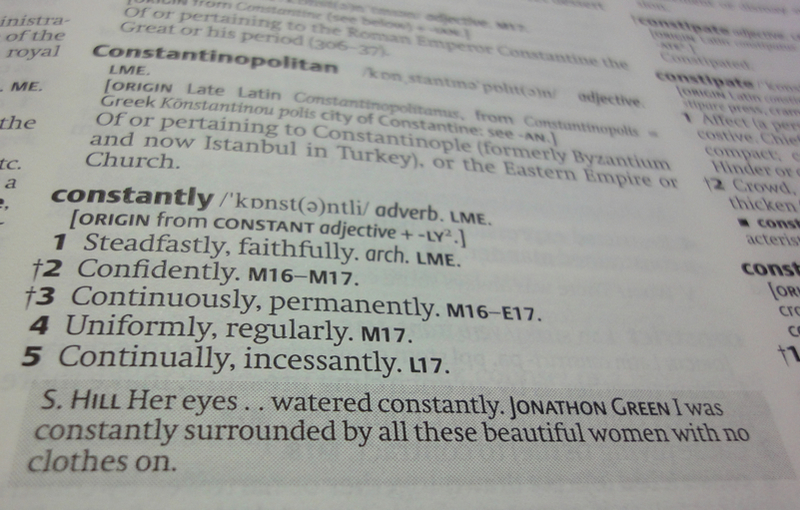 And the dictionaries’ editor was… Jonathon Green, daydreaming at work. I guess. Google yields no results matching this quote. It must be then Green’s creation or imagination.